Lisa Harper recently adopted a little girl from Haiti that’s HIV positive. 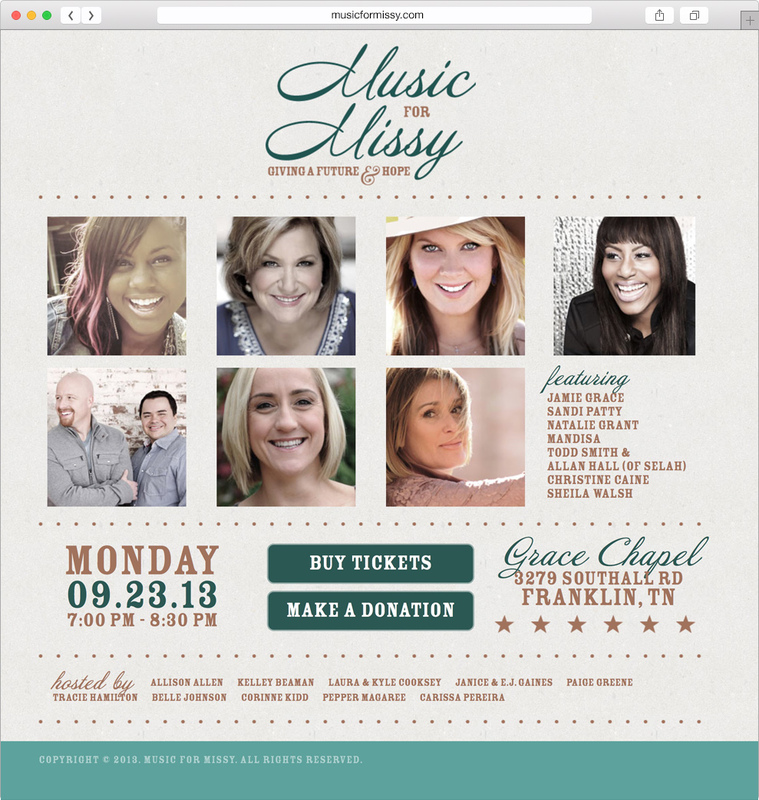 The purpose of this site was to provide information for a benefit concert that raised money for Missy’s medical needs. 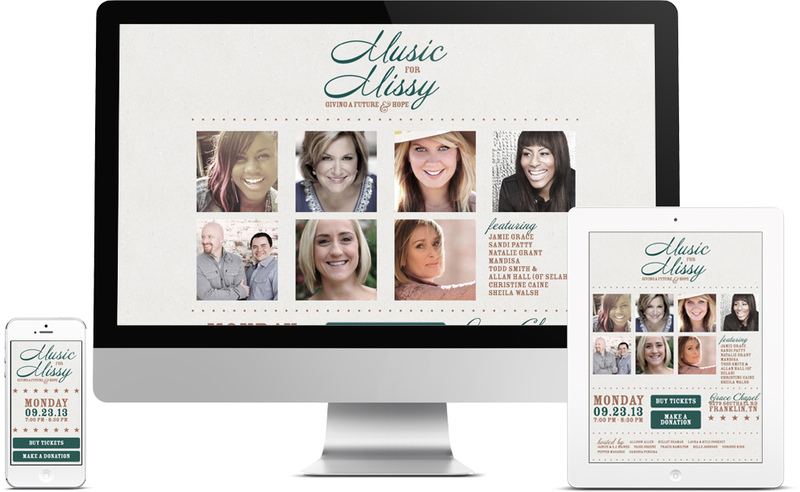 The most challenging aspect about this site was its responsiveness. If you’re viewing the site on a mobile phone, the concert details and links for buying tickets and making a donation needed to appear at the very top, above the images. The type also needed to scale appropriately in order to maintain visual hierarchy.